Rodrigues (Andrew Garfield) and Garupe (Adam Driver) are Jesuit priests in 17th century Portugal. When they travel to Japan, both to spread their religion and also to locate their mentor Father Ferreira (Liam Neeson), who was captured for preaching his beliefs and may have apostatized, they find their own faith being cruelly tested. Christians were being persecuted at the time in Japan for practising and spreading their faith, putting them at risk of being killed lest they apostatize and desecrate their beliefs by stomping upon religious icons, a fate forced upon those who don’t relent by the elderly Inquisitor Inoue (Issei Ogata). 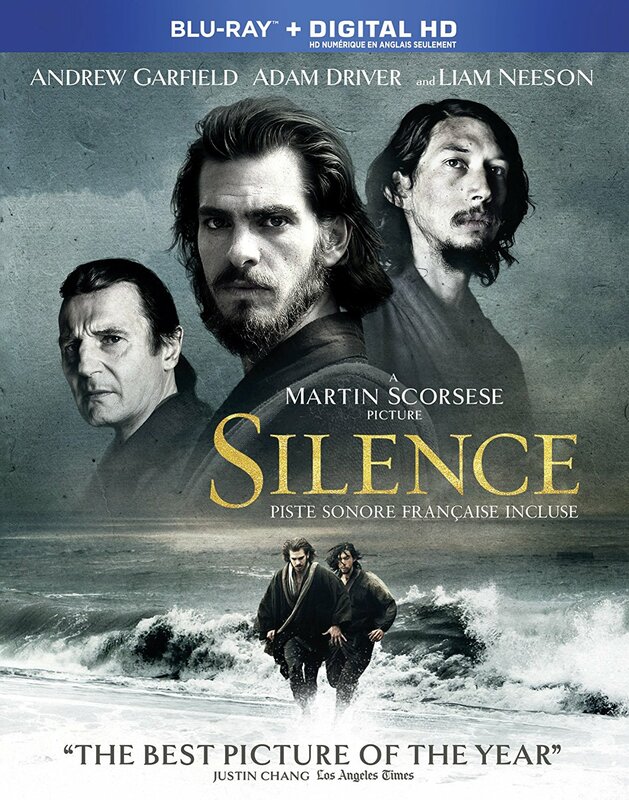 A passion project that Martin Scorsese has been trying to make for years, Silence is the sort of densely layered work from a top tier filmmaker that leaves us with a lot to think about. This is one of the director’s most personal and introspective works, layered with themes that have been hinted at both directly and indirectly throughout his career, completing an unofficial trilogy of sorts that started with his previous faith-based works The Last Temptation of Christ and Kundun. The nearly thirty years that Martin Scorsese has spent trying to adapt Shusaku Endo’s source novel have given him time to reflect upon and do justice to the material, in a way that might not have been possible if he hadn’t spent so long trying to get the film made. The film does run long at close to three hours, but the lengthy running time adds to the reflective quality of the story, and it’s a work that is rich with symbolism and meaning. Rodrigio Prieto’s cinematography, curiously the only element of the film to get an Oscar nomination, is consistently impressive in the way it often uses widescreen master shots to frame both the beauty and suffering of the story. Andrew Garfield carries the film with a committed performance that holds a deep sense of reverence, powerfully portraying a man who goes from preaching to doubting his faith as his beliefs are tested, having actually gone through pastoral training to prepare for the role. Adam Driver and Liam Neeson deliver excellent supporting work, and Issei Ogata provides a complex adversary in a fascinating, full-bodied performance that goes far beyond the usual trope of just being a villain. The music by Kathryn Kluge and Kim Allen Kluge only adds to the almost mesmerizing landscape of the film. This is an enthralling treatise on faith, religious prosecution and the resilience of belief, that isn’t afraid of asking tough questions of its audience. For example, was it right for the Christians to try and convert the Japanese away from their traditional beliefs, and how much of the religion they were being taught did the local villagers even understand? Did the brutality inflicted upon them by the Japanese officials allow the missionaries to appear even more Christ-like in their suffering? The most interesting thing about Silence is that the film doesn’t seek to answer these questions as much as it asks us to reflect upon them, and look beneath the surface to uncover the layers of meaning. It’s genuinely exciting to see a filmmaker like Martin Scorsese crafting what will surely be remembered as one of his most challenging and divisive works so far into his already storied career. I think Silence is one of those films that will only get better with age, with the longer you let it linger and sit with you revealing more things about it. This is a fascinating, sometimes exhausting and ultimately deeply introspective work, that deserves respect and discussion both on its own terms, and within the larger context of Martin Scorsese’s filmography. The Blu-ray also includes the extended featurette Martin Scorsese’s Journey Into Silence, a very well put together piece that sheds light on the production and deeper themes of the story. Silence is a Paramount Home Media Distribution release. It’s 161 minutes and rated 14A.